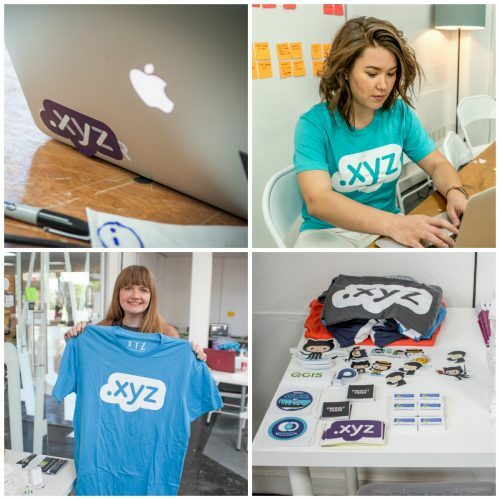 May was another fast-paced month for Team XYZ. We spent the month giving members of #GenXYZ more creative freedom than ever before with their domains, by introducing the new 1.111B® Class. But before our June 1 announcement, we got to meet face to face with businesses and individuals around the world and hear about all their dynamic ideas and projects. We started off the month sponsoring the Product Forge Local Transport Hackathon in Edinburgh, Scotland. Hackathons are one of our favorite ways to connect with #GenXYZ and support their entrepreneurial spirit. Product Forge’s Hackathon featured creative problem solving from innovators and future leaders. 8 teams composed of tech, design, business, and transport industry professionals competed to build the best new product that would improve transport services in South East Scotland. The winning team was Side who developed TransitTalks, a platform that allows individuals in communities to correspond directly with transportation planners and share their concerns and wishes. As the winning team, Side was awarded a free .xyz domain, so they can get started building the TransitTalks platform online right away. Our next trip was to sunny Spain for the ICANN GDD Industry Summit. The summit was a great opportunity to meet with many of our registrar partners and to share our vision for the 1.111B® Class. Many of our registrar partners loved the idea and marketing support that the XYZ Team had put together (look for them at gen.xyz). We are always grateful when we have the chance to meet face to face with the registrars that allow innovators around the world to have access to .xyz, and we look forward to seeing them at future ICANN events. After the ICANN summit we returned to the States to connect with members of Santa Monica’s rapidly growing Virtual Reality (VR) startup community at the Silicon Beach VR Networking Mixer. We spoke to passionate VR entrepreneurs and got to share some success stories of .xyz adopters working in VR, like Rascali.xyz and Langzou.xyz. We love promoting .xyz adopters at every event we attend and the professionals we met at the mixer were inspired by their stories and can’t wait to follow in their footsteps with their own .xyz VR sites. 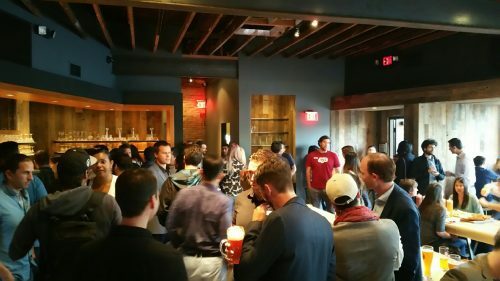 Our last stop in May was the Silicon Beach Young Professionals Mixer, which combined hungry young tech professionals, growing startups, and even a few freelance developers for a night of networking and collaboration. After we generated buzz about .xyz inside the event, we went out onto the streets of Venice to generate buzz about the 1.111B® Class with a holographic takeover. The takeovers are far from over, as XYZ has huge throughout June to spread the word about the “All Your Domains Are Come From Us” marketing campaign and the 1.111B® Class. 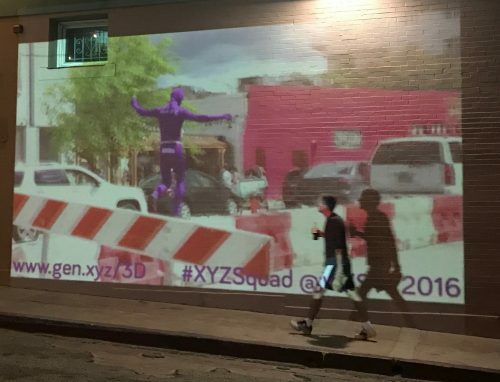 Stay tuned to our Twitter (@XYZ), Facebook (/XYZ) and Instagram (@XYZ) to see what Team XYZ and the #XYZsquad have in store!